We’re not saying anything against Mandy Patinkin, we’ll let his co-stars like Shemar Moore do that. Shemar railed against Mandy when he decided to simply not show up for work, quitting and leaving the cast and crew in the lurch. Mandy will never work in this town again. Except maybe. Because he quit CBS’ “Chicago Hope” in 1995 after one season, then returned in 1999 for the final season. And CBS execs say he’ll come back to do at least a scene that ties up his character. 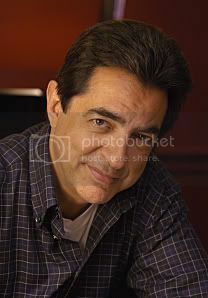 But enough about the old, now we’ve got the new: Joe Mantegna will join the cast as FBI Special Agent David Rossi, making his first appearance in the fifth episode of the season. “We are all THRILLED (yep, they used capitals in the press release) to have Joe Mantegna joining our family. He’s an incredible actor, a genuinely nice person and, as a fellow Chicagoan, I can tell you he makes fantastic Italian Beef sandwiches and Chicago Style Hot Dogs,” said Executive Producer Ed Bernero. Special Agent Rossi is an original member of the Behavioral Analysis Unit who took early retirement to go on lecture and book tours, and has volunteered to return to the unit. His credits include the CBS series “Joan of Arcadia,” and we’d like to note that he has never once walked off a TV series.